A lot of people have the question, "What centric relation is?" Centric Relation is defined as the most anterior superior position of the condyle disc assembly within the glenoid fossa. And one thing to remember about centric relation is it's irrespective of where the teeth are. If the teeth weren't present, the muscles of mastication would guide the condyle and pull that joint up into centric relation. 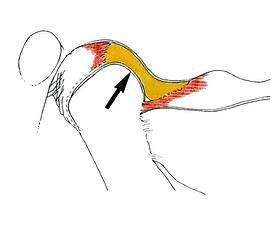 Obviously, once the joint is in Centric Relation, it's very important to verify that it's seated properly, using bimanual manipulation. 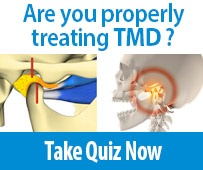 But I think the most important thing to realize is that it's totally irrespective of tooth position. It's purely the position of the joint, and a patient should never really have to be put into centric relation. It's a natural physiological position that the patient should be able to find once those muscles are relaxed and the teeth are out of the way. 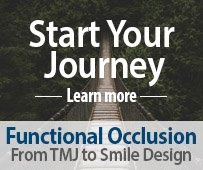 So if you ever have any questions about centric relation, read Dr. Dawson's book, Functional Occlusion: From TMJ to Smile Design, or attend the course Functional Occlusion - From TMJ to Smile Design and you'll get all the information you may need. Matthew Wolfe, DDS is an associate faculty member at The Dawson Academy, Administrative Director of Study Clubs and Co-Leader of the Detroit Study Club. 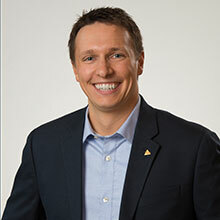 Dr. Wolfe began his career as a mechanical engineer, but after more than 2 years of working as an engineer, Matt realized his love for dentistry.